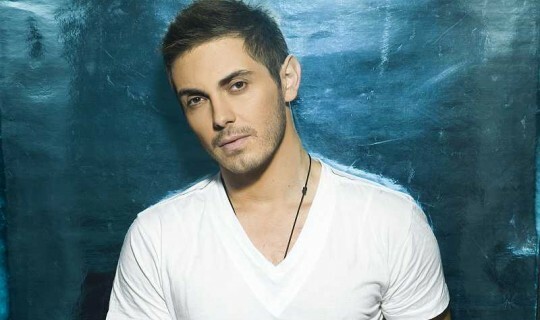 In what Festival organisers have called a coup, the talented and extremely popular Cypriot born superstar Mihalis Hatzigiannis will headline this year's Antipodes Festival in Lonsdale Street Melbourne on Saturday March 16 and the Greek Festival of Sydney at Darling Harbour on Sunday March 17. Hatzigiannis was born in Nicosia, Cyprus and graduated from the Cyprus Music Academy (Royal College of London) with a degree in piano, guitar and music theory. Starting out young with his first major performances coming at Eurovision qualifiers when he was only 17 years old, he had three hit records (all reaching platinum status in Cyprus) and a performance at Eurovision by the time he was 20. Sold out tours and platinum records followed right across the Greek speaking world including 2 previous sold out tours of Australia. The Greek Festival of Sydney and Melbourne's Antipodes Festival have become renowned worldwide as the largest celebrations of Greek culture outside of Greece. Tens of thousands of people attend the free events with the highlight each year being the performance by an invited guest artist on the respective main stages at Lonsdale Street and Darling Harbour. In taking to the Festival stages, Hatzigiannis follows in the footsteps of some of Greece's most well-known performers including Eleftheria Arvanitaki, George Dalaras, Haris Alexiou, Glykeria, Dimitra Galani, Alkistis Protopsaltis and Pantelis Thalassinos. Hatzigiannis was last in Australia in 2011, and with his broad range of musical talents and extensive song list, we're excited to be presenting these concerts for free to Melbourne and Sydney audiences. The Lonsdale Street Glendi is the highlight of the Antipodes Festival, the cultural arm of the Greek Community of Melbourne, which sees Melbourne's Greek centre transform into one giant free street party, bringing together local and international performers, children's activities and food, for a weekend of fun and feasting. The Greek Festival of Sydney takes over Darling Harbour during the weekend of March 16 and 17, where it comes alive to the sound of fabulous Greek music, the aromas of Greek food, displays of Greek dancing and many surprises for the children. It's the perfect way to celebrate the vibrant multiculturalism of Sydney and to explore the beauty of Greek culture.